The steering committee supervises the activities of the different work packages and co-ordinates dissemination of knowledge to the wider scientific community. The committee consists of five scientists from partner laboratories which meets during the annual PiroVac project meetings. The committee is also involved in the recruitment of the PhD student candidates and is responsible for the overall evaluation and assessment of the progress of PiroVac activities. Professor Ahmed is the head of the Division of Veterinary Infection Biology and Immunology at the Veterinary Research Center in Borstel, Germany. 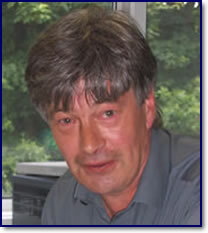 He has a extensive experience of piroplasm research and broad expertise in the co-ordination of EU-funded projects. The focus of his research activities has been immunological and molecular aspects of Theileria infections in both small and large ruminants and the the pathomechanisms of Type I allergy. His research work has included the identification, cloning and sequencing of parasite and host cell genes relevant for the host cell transformation. He has also identified and characterised immunologically relevant parasite proteins which may be used in the development of a sub-unit vaccine or as molecular diagnostic tools. Seitzer U, Ahmed J. Tropical theileriosis: Cytotoxic T-lymphocyte response to vaccination. Vaccine 2008; 26S6:G24-G28. 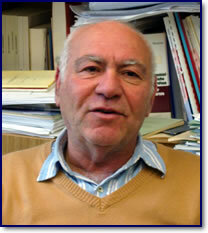 Seitzer U, Ahmed J. Attenuated vaccines against animal diseases. Vaccine 2008; 26S6:G1-G3. Ali, AM, Beyer D, Bakheit MA, Kullmann B, Salih DA, Ahmed JS, Seitzer U. Influence of subculturing on gene expression in a Theileria lestoquardi infected cell line. Vaccine 2008; 26S6:G17-G23. Seitzer U, Liu Z, Yin H, Beyer D, Kullmann B, Miranda J, Ahmed JS. Immune response of Theileria sp. (China) infected sheep to recombinant Theileria proteins. Ann NY Acad Sci USA 2008; 1149:186-190. Professor Seitzer is a senior scientist at the Veterinary Research Center in Borstel where she leads a research group in charge of developing molecular tools for pathogen detection and differentiation. 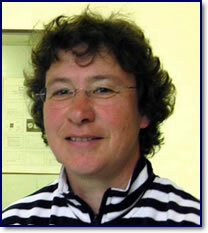 Dr Seitzer is Professor of Immunology and Cell Biology at the University of Lubeck. She has extensive experience of the immunology and molecular biology of different diseases, including infectious diseases. She has published widely and has considerable technical and scientific knowledge of immunology, molecular biology, protein chemistry and clinical investigations. Professor Tait has has over twenty years experience on research into tick-borne parasites, with emphasis on Theileria annulata. He has performed research into population biology, development of molecular vaccines and diagnostics and Theileria genomics, in addition to his extensive research experience on molecular genetics of protozoan parasites and drug resistance. 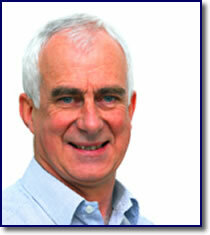 He has co-ordinated a number of Wellcome Trust grants and EU-funded projects. Weir W, Karagenç T, Gharbi M, Simuunza M, Aypak S, Aysul N, Darghouth MA, Shiels B, Tait A. Population diversity and multiplicity of infection in Theileria annulata. Int J Parasitol. 2011;41(2):193-203. Weir W, Karagenç T, Baird M, Tait A, Shiels BR. Evolution and diversity of secretome genes in the apicomplexan parasite Theileria annulata. BMC Genomics. 2010;18;11:42. Oura CA, Bishop R, Asiimwe BB, Spooner P, Lubega GW, Tait A. Theileria parva live vaccination: parasite transmission, persistence and heterologous challenge in the field. Parasitology. 2007;134(Pt 9):1205-13. Bilgic HB, Karagenç T, Shiels B, Tait A, Eren H, Weir W. Evaluation of cytochrome b as a sensitive target for PCR based detection of T. annulata carrier animals.Vet Parasitol. 2010;174(3-4):341-7. 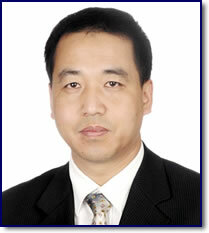 Professor Yin Hong is the Deputy Director of the Lanzhou Veterinary Research Institute. His main interests are ticks and tick-borne diseases, particularly small ruminant piroplasmosis. He has been involved in a number of EU-funded projects as a leader of the Chinese activities in these projects. He is currently member of the steering committee of two EU-funded projects: ASEM-Dialog and INCOME projects and is member of the Asian Panel of the Asian Component of ICTTD-3. Liu Z, Dang Z, Luo J, Yin H, Ahmed JS, Seitzer U. Small-scale expressed sequence tag analysis of Theileria uilenbergi : identification of a gene family encoding potential antigenic proteins. Ann N Y Acad Sci. 2008;1149:214-7. Yin H, Liu Z, Guan G, Liu A, Ma M, Ren Q, Luo J. Detection and differentiation of Theileria luwenshuni and T. uilenbergi infection in small ruminants by PCR. Transbound Emerg Dis. 2008;55(5-6):233-7. Guan G, Chauvin A, Luo J, Inoue N, Moreau E, Liu Z, Gao J, Thekisoe OM, Ma M, Liu A, Dang Z, Liu J, Ren Q, Jin Y, Sugimoto C, Yin H. The development and evaluation of a loop-mediated isothermal amplification (LAMP) method for detection of Babesia spp. infective to sheep and goats in China. Exp Parasitol. 2008;120(1):39-44. Sun C, Liu Z, Gao J, Guan G, Ma M, Luo J, Yin H. Investigations into the natural infection rate of Haemaphysalis qinghaiensis with piroplasma using a nested PCR. Exp Appl Acarol. 2008;44(2):107-14. Professor Morrison leads a group studying cellular mechanisms of immunity to infectious diseases in livestock, with particular emphasis on tick-borne diseases. He holds a number of grants from BBSRC, The Wellcome Trust and Defra and currently co-ordinates a multi-centre Wellcome-funded programme on Theileria annulata. He has many years of experience in ruminant immunology and previous work on Theileria parva helped to elucidate the mechanisms of immunity and established cellular reagents and methodologies that were used successfully to identify parasite antigens. His current work includes investigation of the fine specificity of T cell responses to understand the basis of parasite strain restricted immunity to T. parva. Recently, this work has been extended to Theileria annulata and has led to identification of a number of potential novel vaccine antigens in that parasite. Current research also includes investigation of the role NK cell responses in immunity to Theileria parasites. MacHugh ND, Burrells A, Morrison WI. Demonstration of strain specific CD8 T cell responses to Theileria annulata. Parasite Immunology, 2008;30(8):385-393. Houston EF, Taracha EL, Brackenbury L, MacHugh ND, McKeever DJ, Charleston B, Morrison WI. Infection of cattle with Theileria parva induces an early CD8 T cell response lacking appropriate effector function. International Journal of Parasitology. 2008;38,1693-1704. Graham SP, Pellé R, Yamage M, Mwangi DM, Honda Y, Mwakubambanya R, de Villiers E, Abuya E, Awino E, Muthiani AM, Muriuki C, Nyanjui JK, Onono FO, Osaso J, Saya RM, Ellis SA, McKeever DJ, MacHugh ND, Morrison WI, van der Bruggen P, Taracha ELN. Characterization of the fine specificity of bovine CD8 T cell responses to defined antigens from the protozoan parasite Theileria parva. Infection and Immunity. 2008;76,685-694.